Lui Shou-kwan (1919-1975) is recognised as Hong Kong’s pioneer in contemporary ink art, with his firm belief in breaking away from traditional constraints. Born in Guangzhou, Lui’s interest in painting was inherited from his father who was a scholar painter. Lui studied Chinese painting by copying classical works by past masters. In 1948 he moved to Hong Kong and began working for the Hong Kong and Yaumatei Ferry Company which gave him the opportunity to observe Hong Kong’s mountains and harbour scenes. While he retained a deep respect of traditional ink art, he also drew inspiration from American abstract art. Further experimentation with abstraction and symbolism, as well as inspiration from Daoism and Buddhism, ultimately led to the creation of Lui’s unique Zen paintings with their bold and free brushstrokes. 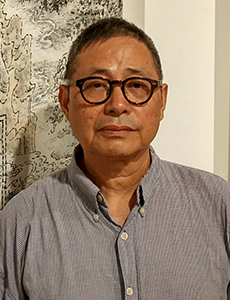 Leung Kui Ting’s work have been collected by the Hong Kong Museum of Art; Hong Kong Heritage Museum; Museu Luis de Camoes, Macau; Singapore National Gallery; and Ashmolean Museum, Oxford University. 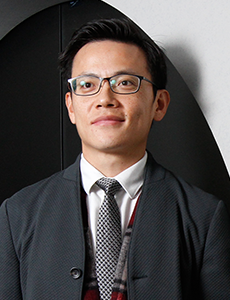 Dr Raymond Tang is currently Curator (Hong Kong Art) at the Hong Kong Museum of Art and Vice-chairman of the Hong Kong Curators Association. He received a PhD degree in Chinese art history at the Chinese University of Hong Kong in 2006. He also gained a Graduated Diploma in Museum Studies (The University of Sydney & HKU, SPACE) in 2002. 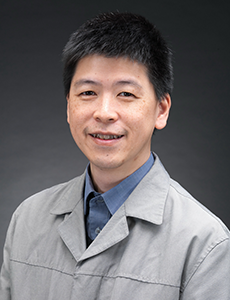 His research interests include Ming, Qing and 20th century Chinese painting and calligraphy, Guangdong paintings and calligraphy, and Hong Kong art. The most recent exhibitions he has organized are Ming and Qing Chinese Arts from the C.P. Lin Collection, Maritime Porcelain Road: Relics from Guangdong, Hong Kong and Macao Museums, The Legacy of Liangzhu Culture: Neolithic Relics from the Zhejiang Provincial Museum and In Search of Zen: The Art of Lui Shou-kwan. In the past two years, he has led his team to implement the Jockey Club ‘Museum of Art on Wheels!’ Outreach Learning Programme. Prof Josh Yiu is the Director of the Art Museum, The Chinese University of Hong Kong. He received his BA in Art History from the University of Chicago, and completed his doctorate at Oxford University. 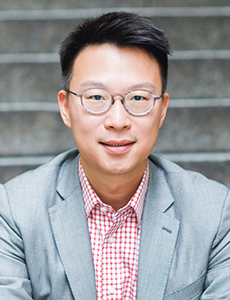 From 2006 to 2013, he served as the Foster Foundation Curator of Chinese Art at the Seattle Art Museum. At The Chinese University of Hong Kong, he has curated and supervised over twenty special exhibitions. A specialist in late imperial and modern Chinese art, his book publications include A Fuller View of China: Chinese Art at the Seattle Art Museum and Two Masters, Two Generations, and One Vision for Modern Chinese Painting: Paintings by Gao Jianfu and Lui Shou-kwan in The Chinese University of Hong Kong and the University of Oxford. Carmen Shek Cerne is Specialist in the Chinese Paintings Department in Christie’s Hong Kong and Head of Sale for Chinese Contemporary Ink. She joined Christie’s in 2009 and in 2013 curated Beyond Tradition, Christie’s first exhibition devoted to Chinese contemporary ink paintings, which travelled to New York and Hong Kong. In 2014, she launched the twice-yearly auction for the category. Carmen works closely with collectors worldwide to assemble and manage their collection of Chinese paintings. She focuses on client advisory and business getting in Hong Kong and overseas, as well as catalogue and exhibition planning. 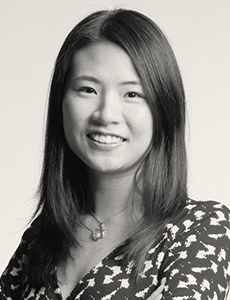 Prior to joining Christie’s, Carmen was Assistant Curator at the Hong Kong Maritime Museum. She was educated in Hong Kong, Italy and the UK, and holds a BA in Ancient History and Social Anthropology from University College London.